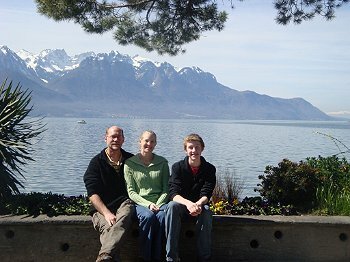 I hit the ground running when we returned from spring break in Switzerland and haven't put any time into posting here. I'll get to those over the next few days. :-) But, right now, I have to get the YAMF (Yet Another Medical Form) onto the troop website. Yep, there's a new BSA medical form - a great, fill-in-able PDF file that was created by the National BSA for consistency and simplicity. You can save your info and just update it next year. What a great idea! See FAQ page for reasoning to make this new form - first one is to stop the confusion over the 20 plus different med forms being used across the country. But, for some reason, our council has decided that official, national BSA form is not what they need so they've created YAMF just for our council. How's that for some complicated simplification?